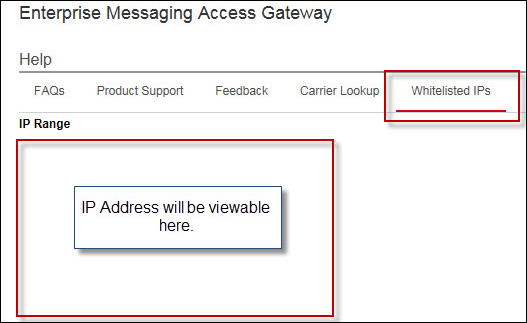 Sign in to Enterprise Messaging. 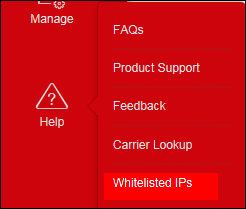 From the left navigation menu hover over 'Help' then click Whitelisted IPs. To view the navigation menu, click the red tab .